Peter MacIntyre lives and works in Charlottetown, Prince Edward Island, Canada. He has over 25 years of experience in the information technology industry, primarily in the area of software development. Peter's technical skill set includes several client/server tools and relational database systems such as PHP, PowerBuilder, Visual Basic, Active Server Pages, and CA-Visual Objects. Peter is certified by ZEND Corporation on both PHP 5.3 & PHP 4.x and has contributed writing material for Using Visual Objects (Que Corp.), Using PowerBuilder 5 (Que Corp.), ASP.NET Bible (Wiley Pub. ), and Web Warrior Survey on Web Development Languages (Course Technology). 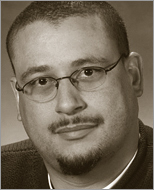 Most recently he has co-authored the Zend Studio for Eclipse Developer's Guide - Addison-Wesley. Peter is a former contributing editor and author to the on-line and in-print magazine called php|architect (www.phparch.com). He has also spoken several times at North American and International computer conferences including CA-World in New Orleans, USA; CA-TechniCon in Cologne, Germany; and CA-Expo in Melbourne, Australia. "If youre a new PHP programmer then PHP The Good Parts is a great read, as its not too heavy (in content, not in weight!) and only tells you what you need to know. If you are someone who only occasionally uses PHP then this book would make a great reference book. Overall, I really liked PHP The Good Parts." "Overall, Peter MacIntyre does something with PHP: The Good Parts that other PHP books often fail to do. He gets readers excited about PHP by showing how easy and quick it is to use and how powerful its libraries can be."